faculty help | A . T . T . N ! We always hold an open door policy so should you need anything regarding online teaching pedagogy, D2L tools, best practices, Quality Matters™, or anything related to online course design and digital media we are available in our office, Miller Center 118. For any further questions email att@stcloudstate.edu or call 320-308-2302. 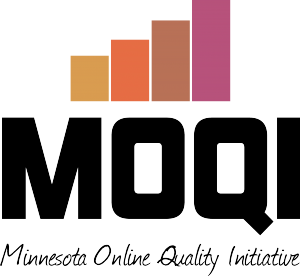 Minnesota Online Quality Initiative continue with their series of webinars. The upcoming professional development series focus on Quality Matters standards, as well as the interventions for stereotype threats. You can register here for the final four webinars of this year. Good news is that the group is almost done with their Spring schedule, so we are looking forward to learning more and bringing these to our St. Cloud State faculty. A big thanks to the MOQI group for providing free, short, and relevant professional development sessions. Here is another useful tip for instructors on how to get the statistics on their quiz questions. 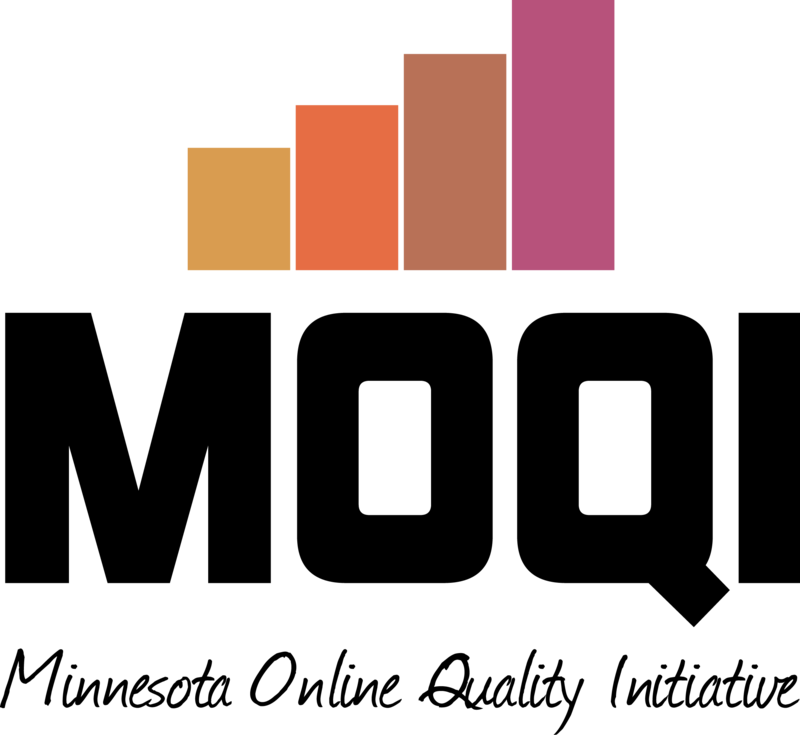 Q: What statistics are available for quiz questions in a D2L Brightspace course? A: Learn about quiz statistics and common questions at FAQ #1601. * Note: There can only be one answer worth 100%; all other answers must be worth 0%. * Note: any questions that are contained in a Random folder DO NOT produce item analysis statistics. All MnSCU faculty and staff are welcome to register for different D2L Brightspace and SIG (Special Interest Group for Learning Spaces & Instructional Technology) webinars. to the final one in October: SIG Webinar: Time-Saving Tips for Stressed Out Instructors there is a gamut of helpful one-hour sessions for instructors and staff of our MnSCU institutions. We will keep you posted on more events sponsored by MOQI as well as add these webinars to our calendar! A quick way to find really short and concise videos on any feature of your D2L Brightspace course can be found here. If you are interested in a specific feature, you can quickly search (e.g. discussions, dropbox, calendar, assessment, quizzes, chat, classlist, etc.). 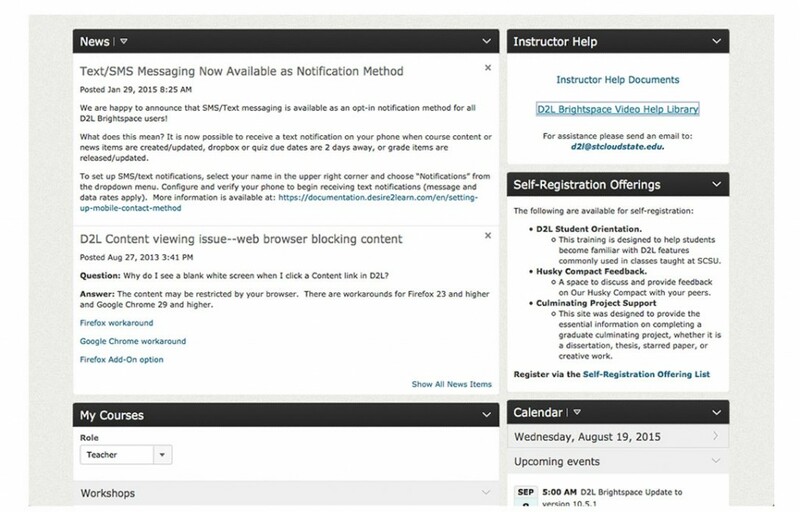 Also, when you log in to your D2L, in the right upper corner you will have a box named “Instructor Help” which has the link as well.